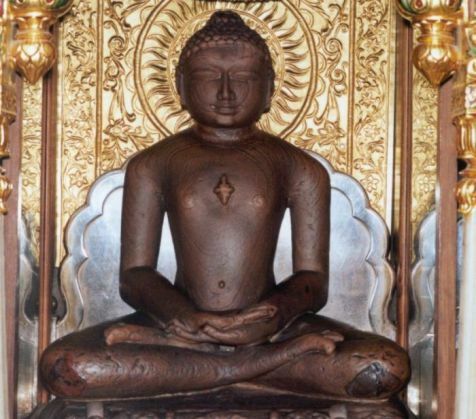 A 2,600-year-old idol of Lord Mahavira was stolen from a Jain temple in Jamui, Bihar, on 27 November night prompting Home Minister Rajnath Singh himself to call Chief Minister Nitish Kumar and enquire about the investigations. On 28 November, an idol was stolen from Kharauni village of Balia district in neighbouring Uttar Pradesh. The Ashtadhatu idol of Goddess Durga was also priced at several crore rupees in the international market. The 250-kilogram black stone statue of Mahavira was under the protection of Archaelogical Survey of India (ASI) but had no police security. Also, the Ashtadhatu idol, which is made of eight different metals, lacked proper security. FIRs has been lodged in both the cases and police has started the investigation. Nitish Kumar assured the home minister that efforts were being carried out to recover the Mahavira idol and capture the culprits.